Home > Laptops > HP Laptop Computers > HP EliteBook 850 G3 15.6"
HP EliteBook 850 G3 15.6” Laptops are the powerful, secure, and highly portable answer to business laptop solutions for Small to Medium Size Businesses (SMBs) looking for enterprise class features in a lightweight design! Made with the best security and management features the HP EliteBook 850 G3 ensures your business data stays safe and is easier to manage with enterprise class features such as HP Sure Start with Dynamic Protection, HP BIOSphere, HP Client Security, HP Support Assistant, and preboot authentication! In addition, the HP EliteBook 850 G3 is designed for collaboration no matter where you find yourself working. Enjoy the best in collaborative experiences with the extremely lightweight 4lb chassis, long lasting battery, beautiful 15.6” HD anti-glare display, noise cancellation software, and the HP Clear Sound Amp for the best in audio call quality for users working remote or in customer facing roles! Plus with the power of Intel Core processing, DDR4 PC4-17000 memory upgradable to 16GB, tons of SATA and SSD storage options to choose from, and the best in office software licenses you can create your own Aventis Systems custom HP EliteBook 850 G2 today! 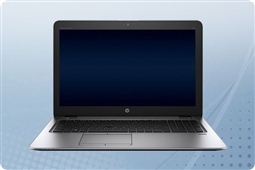 Aventis Systems happily offers all of our HP EliteBook 850 G3 laptops with a comprehensive Essentials 1 Year parts replacement warranty standard on all models. In addition, we also offer Secure Drive hard drive retention, Express NBD parts replacement, and Extended 2 Year term warranties for more coverage. So shop our products below and customize the business laptop perfect for your company today with the HP EliteBook 850 G3 15.6” laptops!